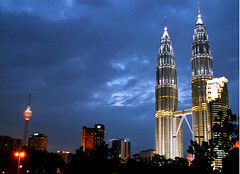 KUALA LAMPUR – Malaysia is unlikely to see any tax cuts until the government can implement and perfect its long planned and much delayed GST system. In a presentation made at a seminar organized by the Malaysian Economic Association a few days ago, Veerinderjeet Singh, the co-founder and Chairman of Malaysian chapter of Taxand, said that the government will be unlikely to cut income taxes following the long-awaited implementation of the new GST system, as efforts will more likely be expended on ensuring refining the rules for the consumption tax instead. Since 2009 the government of Malaysia has worked towards replacing the SST with a broader and more inclusive 4 percent GST system, however, the change has been delayed several times, and Veerinderjeet Singh has suggested that the change would only occur in 2015 at the earliest. it was noted that only an estimated 16 percent of the population currently pays income taxes, so the proposed GST system is intended to collect more taxes from individuals who would otherwise not be contributing to the national revenue. Veerinderjeet Singh explained that after the GST system is implemented, the government is likely to divert a significant portion of its attention to ensuring that the GST systems functions efficiently, and it is unlikely that any attention will be given by the government to exploring further tax changes. He conceded that reducing the rates of income tax may help encourage more investors to come to Malaysisa, but in the current unstable economic environment around the world, it is likely that the move would ultimately not have the planned effect. Under current rules, the standard rate of sales tax in Malaysia is 10 percent, and services are taxed at 5 percent.